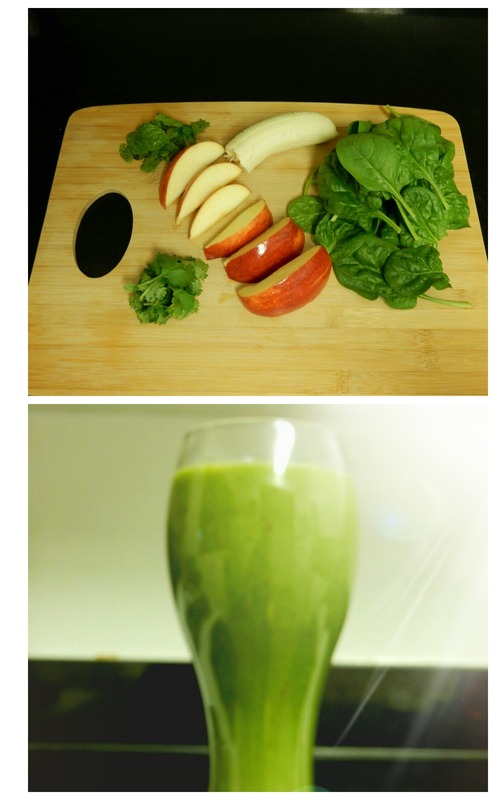 Photo A Day- G for…..
Green Smoothie! This is my favorite and probably the only way to get my greens in. It has the added benefit of not just being healthy but tasty too! Throw in an apple, a handful of spinach,half a banana along with some mint and cilantro in a blender and give it a whirl with ice cold water. The banana really cuts through the green taste and makes the whole drink sweet so you don’t need to add any sugar. Swap out the banana with a pear or kale instead of spinach. You might need to drizzle some honey in that case because kale is a bit bitter. Add some lettuce if you want to make it even more healthy. One glass in the morning for breakfast and you’ll be ready to take on the world! « Photo A Day- F for…..
Me and dad are drinking this ever since you recommended.